This month is not starting very well for technology enthusiasts. 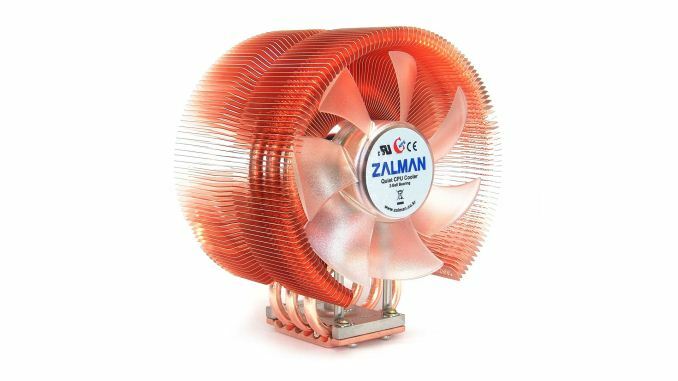 Most of us have fond memories of Zalman, a company that has been producing advanced cooling solutions since 1999. 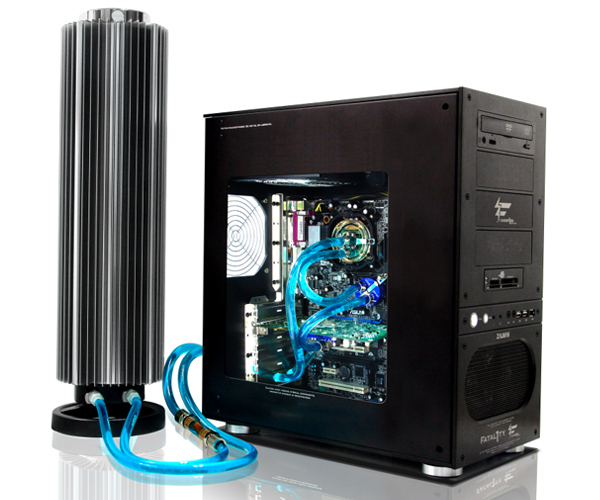 Some are old enough to remember the fan-like CNPS6000 Socket 370 coolers and the first Reserator liquid cooling kits. Zalman was one of the pioneers of low-noise cooling solutions, in an era when stock coolers were noisy enough to drive people insane. Unfortunately for us all, on November 3, 2014 the company filed a bankruptcy protection request in the Seoul Central District Court. Zalman is a child company of the robotics manufacturer Moneual. According to The Korea Times, Moneual failed to repay their (massive) export bonds that matured on October 20, 2014, and ultimately filed for bankruptcy. Ever since that incident, Zalman's stock price also began a quick downfall. However, the numbers just do not add up - Moneual has been repeatedly reporting major profits, with their 2013 annual report being nearly 1.2 billion dollars in sales and over 100 million dollars in profit. The local authorities naturally became very suspicious and initiated investigations, the preliminary reports of which indicate that there is evidence of a well-designed corporate fraud. Long story short, Moneual allegedly acquired Zalman in 2011 as part of their master plan. They forged Zalman's export and accounting documents, greatly overstating their export and income reports, in order to become eligible for huge bank loans. What is even more interesting is an article posted by the Korea JoongAng Daily, where an employee claims that most of the employees knew that the company was a sham but, despite the unearthly profit reports of the past few years, no government officials raised an eyebrow. During that time, Moneual received about 620 million dollars in loans from several Korean banks and another 275 million dollars as export credit from the Korea Trade Insurance Corp, making the owners of Moneual richer by nearly 900 million dollars, money that will likely never be repaid. They have been arrested and, alongside many top- and mid-level executives of the company, are now facing prison time. Unfortunately, the architects of this fraud may not receive what punishment they deserve; the CEO of Moneual has U.S. citizenship and his brother has Canadian, and there's some concerns that Korean law could face trouble prosecuting them. Unfortunately, we have little confirmed information on the matter but, from the looks of it, no one from Zalman was involved in this fraud. Depending on the court's decision, there is the possibility that Zalman will be granted bankruptcy protection and severed from Moneual's control. However, even if that happens, Zalman will certainly not have the capabilities they used to and will most certainly struggle to compete on a global scale. they committed a crime, the korean prosecutors would have gotten their assets in Switzerland freezed by now if they had any. I don't understand why people think that a swiss bank account is somehow secret. The banks know who their clients are and if the federal prosecutors receives a request they will freeze the assets during the investigation. They do this all the time during italian mafia investigations happening in Italy. Look at delaware, the channel islands, the carribean and the pacific if you're looking for dirty money. Also don't forget that you're talking about an US citizen. FATCA means that there are no secrets for the US tax authorities. The Swiss bashing may not be justified TODAY, but if you act as a parasite on world society, don't be surprised if your parasitic reputation persists for many years. The Swiss government passed the law of 1934 which basically codified that Switzerland was open to protecting the money of all the sleazebags of the world (protesting, all the while, of course, that it was providing a vital "civil liberties" service). This didn't change because the Swiss government suddenly became civilized but because the claims that they were not helping sleazebags became ever less plausible, culminating with Bradley Birkenfeld's detailed revelations in 2007. This, along with substantial pressure from the US (initially regarding drug money, then terrorist money) has the Swiss claiming they will clean up their act. But let's not get carried away. All they have done so far is claim they will do it --- things are still not especially clean. They HAVE said that they would co-operate with various governments on cases of tax evasion, but they haven't yet done what they said they will (one day, when the get around to it) to provide more transparency. (a) Will Switzerland co-operate with foreign governments in the event of a crime? In the past only for a limited set of crimes, since 2009 for a larger set. (c) Will Switzerland make available to the world information about money that has been stolen "legally" (or at least carefully) from national populations, whether it's your standard African dictator, your Middle Eastern oil minister, or your Chinese billionaire, when the countries involved have NOT forced a particular agreement with Switzerland? Well, not quite true. FATCA has a reporting threshold of $250k for accounts opened prior to the 1st of July 2015, so it's entirely possible to hide money offshore do long as you either "smurf" it (not really the right term for that amount of money) by having multiple accounts with different banks under the threshold. You also have to bear in mind that it only applies to passive income, not active, so investing in a trading company is a a valid way of not being reportable. In theory you could offset that legitimate trading income against property income (so long as the property assets didn't outweigh the business) and remain unreported despite FATCA. As legislation goes, FATCA is pretty lousy. Banks want to do as little reporting as possible, so kick it up the chain to a CSP (corporate service provider) or other financial institution (FI), who in turn have the joy of trying to work out how to classify an entity and decide using advice that's about as clear as mud how to do anything. FATCA is an incredible piece of legislation so long as you don't expect it to make any money. I'm somewhat pleased the Isle of Man didn't come up on that list of yours. Delaware companies and high end New York property are the current hot spots for people with lots of money to launder. Why? Because US realtors don't need to comply with anti money laundering legislation and there are plenty of lawyers who assume the bank did AML checks so they're clear. Honestly, Switzerland and the Bahamas are not the places you go if you want to hide money. Too much regulation and a lot of suspicion to shake off. You also need to be careful about jurisdiction hopping - it raises no end of red flags seeing money channeled from a Mauritius company to the BVI, the TCI, Delaware and then on to the Isle of Man to be invested in UK property. It's not always nefarious - I've seen some pretty elaborate tax advice - but it certainly raises questions.